Two cruise lines offer cruises to Belize from New Orleans. It is a famous eco-adventure destination. Most of the cruises are 7 days, but there is also a 9-day option. See the full schedule below. Belize is in Central America and has a long coast on the Caribbean Sea. The country is known for extreme biodiversity and ecosystems. There are mangrove swamps, mountains, jungles, wildlife reserves, and many caves. 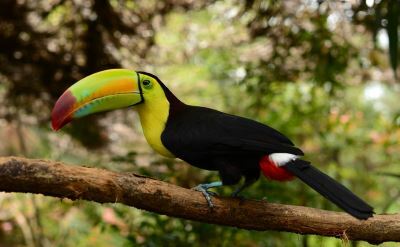 Wildlife include toucan and tapirs. The official language is English. Carnival Cruises dock at Belize City. From there it is easy to visit a Mayan site, enjoy water sports, or tour Old Belize. Read reviews of Belize cruises. Norwegian Cruise Line docks at the private island of Harvest Caye in Belize. It is a small island off the coast. See a slideshow of Belize photos. Shore excursions in Belize offer a wide selection of adventures. Tour Xunantunich Mayan ruins. Swim with rays. Ride a zipline. Go tubing in a cave. Snorkel or scuba dive the barrier reef. Hike Bacab Eco Park. Ride an airboat. Shore excursions on the island of Harvest Caye are varied. Tour the Mayan archeological site of Nim Li Punit. Visit a spice farm and botanical garden. Explore saltwater mangrove estuaries to see wildlife and flora. Go river tubing. Sail to a tiny island and snorkel the reef around it. Fly on a zipline or parasail. 7-day cruises to Belize on Carnival Cruise Line. Round-trip from New Orleans to Mahogany Bay (Roatan), Belize City (Belize) and Cozumel (Mexico). • 2019 departures: April 7, May 5, May 26, June 23, July 7, July 21, August 4, September 1, September 15, September 29, October 13, November 10, December 8. 7-day cruises to Belize on Norwegian Cruise Line. Round-trip from New Orleans to Cozumel (Mexico), Roatan Island (Honduras), Harvest Caye (private island in Belize) and Costa Maya (Mexico). 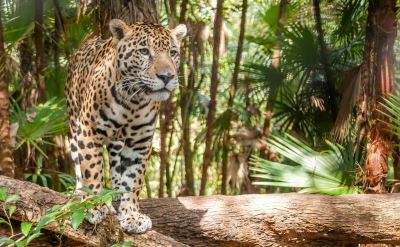 9-day cruises to Belize on Norwegian Cruise Line. Round-trip from New Orleans to Costa Maya (Mexico), Harvest Caye (Belize), Roatan (Honduras), Grand Cayman (Cayman Islands) and Ocho Rios (Jamaica). 7-day cruises to Belize on Carnival Cruise Line. Round-trip from New Orleans to Mahogany Bay (Honduras), Belize and Cozumel (Mexico). • 2020 departures: January 1, February 2, March 1, March 29, April 19, April 26, May 10, June 7, June 21, July 5, July 19, August 16, August 30, September 13, September 27, October 25, November 8, November 22, December 13. 7-day cruises to Belize on Norwegian Cruise Line. Round-trip from New Orleans to Cozumel (Mexico), Roatan Island (Honduras), Harvest Caye (Belize) and Costa Maya (Mexico). 7-day cruises to Belize on Norwegian Cruise Line. Round-trip from New Orleans to Costa Maya (Mexico), Harvest Caye (Belize), Roatan (Honduras) and Cozumel (Mexico). 12-day cruises to Belize on Norwegian Cruise Line. Round-trip from New Orleans to Cozumel (Mexico), Grand Cayman (Cayman Islands), Ocho Rios (Jamaica), Puerto Limon (Costa Rica), Roatan (Honduras), Harvest Caye (Belize) and Costa Maya (Mexico).